lost her drummer (the first in what would become a semi-regular pattern of line-up changes). 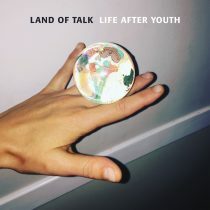 After releasing Land of Talk’s first full-length record, Some Are Lakes, in 2008, she lost her voice. And after the 2010 follow-up, Cloak and Cipher, she lost her will. Life After Youth’s centerpiece track, “Inner Lover,” presents the most radical results of those experiments. It’s an audio Rorschach test of a song: key in on the incessant synth pulse underpinning Elizabeth’s pleading vocal (“take care of me!”) and the track assumes an ominous intensity. But when you surrender to the relaxed drum counter-rhythm and subliminal harmonies, “Inner Lover” projects a graceful serenity. Even the songs built atop more traditional rock foundations exist in that liminal space between dreaming and waking life, confidence and doubt, raw feelings and soothing sounds. “Yes You Were” opens the record with a cold-start surge that’s overwhelming in its immediacy, with Elizabeth’s furiously strummed guitar jangle and wistful lyricism bearing all the adrenalized excitement and nervous energy of seeing old friends (or, in her case, fans) for the first time in ages. And as its title suggests, “Heartcore” is a collision of soft-focus sonics and emotional intensity, with Elizabeth’s crystalline vocals hovering above a taut, relentless backbeat and disorienting synth squiggles. Even the turn-a-new-leaf optimism of “This Time” is presented less as a triumphant comeback statement than a warm reassuring embrace—its beautifully dazed ‘n’ confused psych-pop swirl acts as a calming force as you hurtle toward life’s great unknown. 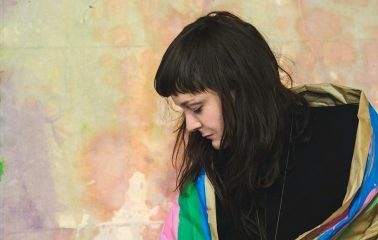 Fitting for a song about reconnecting with the world, “This Time” was the product of another fortuitous reunion—between Elizabeth and her old friend Sharon Van Etten, who lent her songwriting smarts and heavenly harmonies to that track, as well as “Heartcore” and the Fleetwood Mac-worthy “Loving.” And Van Etten is just one member of a veritable indie-rock dream team Elizabeth recruited to complete the album: the moonlit ballad “In Florida” was recorded by producer John Agnello (Dinosaur Jr., Kurt Vile) in his New Jersey studio, with Elizabeth backed by former Sonic Youth drummer Steve Shelley and Roxy Music/Sparks bassist Sal Maida. From Montreal to Orillia to Toronto to New Jersey and back to Montreal again, the story of Life After Youth resembles one of those Raiders of the Lost Ark maps with the red routing lines bouncing back and forth into a blur—“which is kind of like what my brain is like,” Elizabeth says with a laugh. But from that mental and geographic scramble, a work of great focus and clarity has emerged. The last time Elizabeth Powell brought new music into the world, Justin Bieber didn’t have a criminal record, tinder was just something you used to start a campfire, and Donald Trump’s assholery was still safely confined to reality-TV shows. To paraphrase the late David Bowie, it’s been seven years, and Elizabeth’s brain hurt a lot. But she stands today as the patient-zero case study for Life After Youth’s therapeutic powers. These are the songs that got her through the tough times. And now, they can do the same for you.